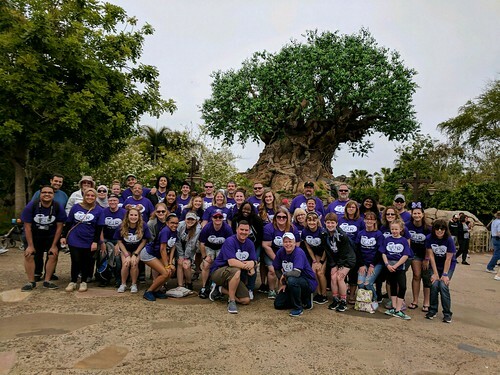 Point Park University business management, HR management and SAEM majors traveled to Orlando, Fla., March 7-13 for a 2018 Disney Leadership Seminar with Assistant Professors Patrick Mulvihill, D.Ed., and Sandra Mervosh, M.S., SHRM-SCP, SPHR. The seminar centered on the human resources field, teaching the students about the Americans with Disabilities Act, world labor laws and the importance of human interaction in business. “One of the key assignments required students to navigate the parks with a wheelchair. They were asked to not only focus on their experiences, but also to observe interactions with park guests and cast members,” Mulvihill explained. The seminar concluded with a leadership scavenger hunt in Disney's Magic Kingdom. “I decided to attend the trip because I wanted to learn more about HR and operations management and to see if these are career paths that interest me. My favorite part of the trip was talking to employees in the different countries in Epcot and learning about working conditions in their country compared to the United States.” — Rhianna Davis, freshman business management major, Burrell High School, Lower Burrell, Pa.
“I recently completed the Disney College Internship Program and wanted to learn more about Disney’s leadership initiatives. It was neat being on the ‘other side’ and seeing how cast members interacted with us when we had questions for our assignments. 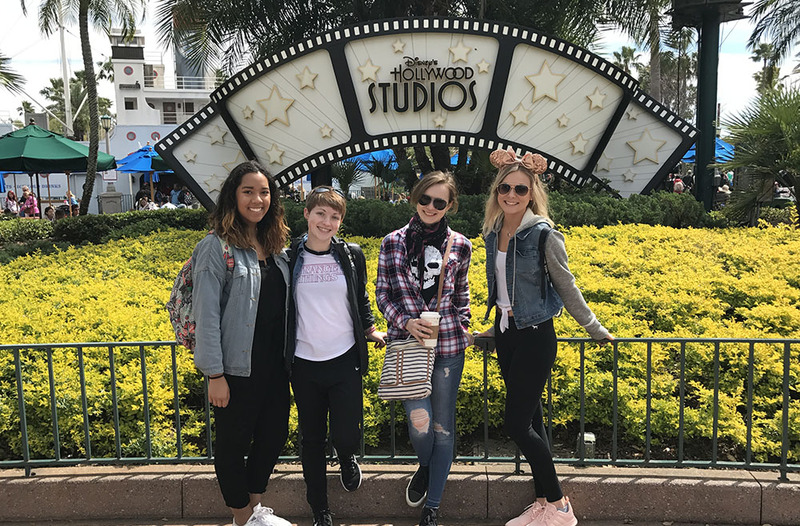 Working for Disney management in their park operations and guest services is my career goal and this experience definitely helped me gain a better understanding of the leadership at Disney." — Miranda Peel, senior SAEM major, Burrell High School, Lower Burrell, Pa.
“I love Disney and have traveled there almost every year of my life so I wanted to examine what makes this company ‘magical’ in the business sense. It was a great place to examine HR features and regulations. My favorite part of the trip was examining the reactions and behaviors of the visitors at Hollywood Studios as we pushed an actor around in a wheelchair." — Kara Rohlf, senior HR management major, Brownsville Area High School, Brownsville, Pa.
“Not only did I learn more about HR, but I also got to see the many employment opportunities that Disney has to offer and I got to see how much employees enjoy working there. I would like to work for a large company like Disney. This seminar taught me a lot and will look great on my resume.” — Regan Wallace, junior business management major, Kiski Area High School, Apollo, Pa.